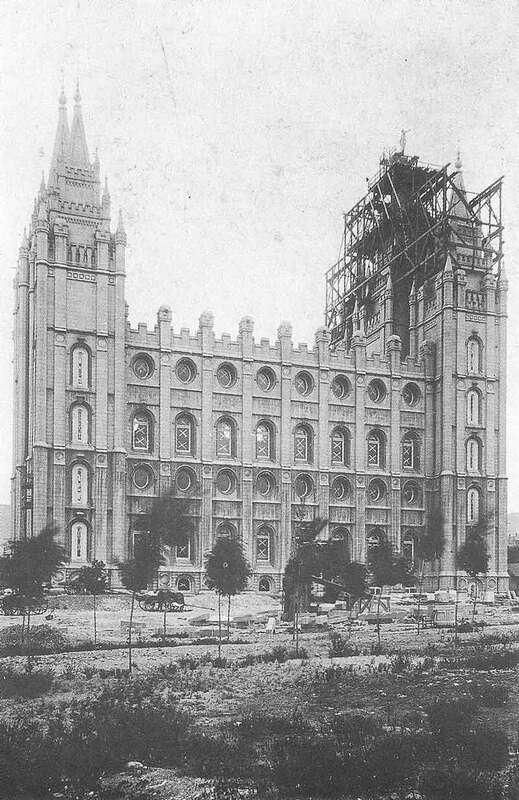 [p.271] In 1882 a young country boy from Utah’s Dixie arrived in Salt Lake City filled with plans of starting a new life. After settling his wife and child in a small house in the central part of the city, he began looking for employment. He secured a job as druggist in Zion’s Cooperative Mercantile Institution (ZCMI), then evolving into a large department store. 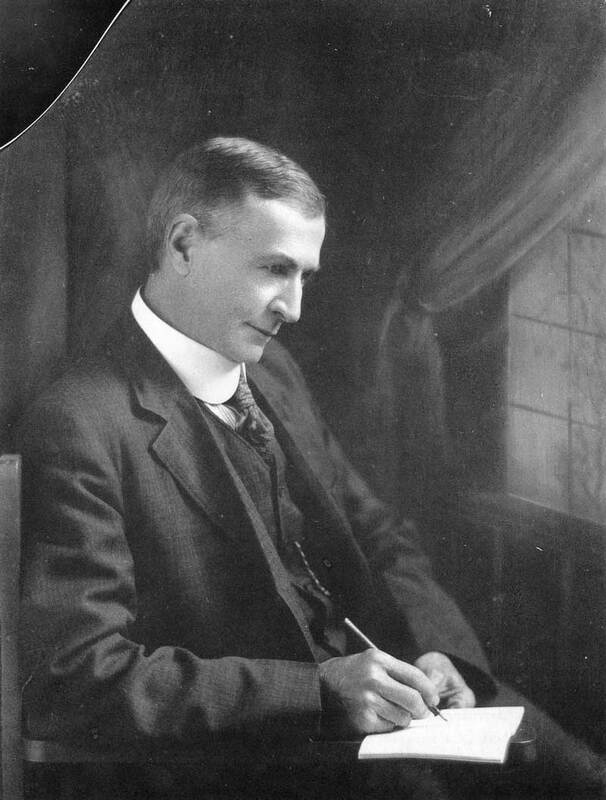 Charles Ellis Johnson was one of twenty sons of Joseph Ellis Johnson, the best-known manufacturer of patent medicines in Utah. 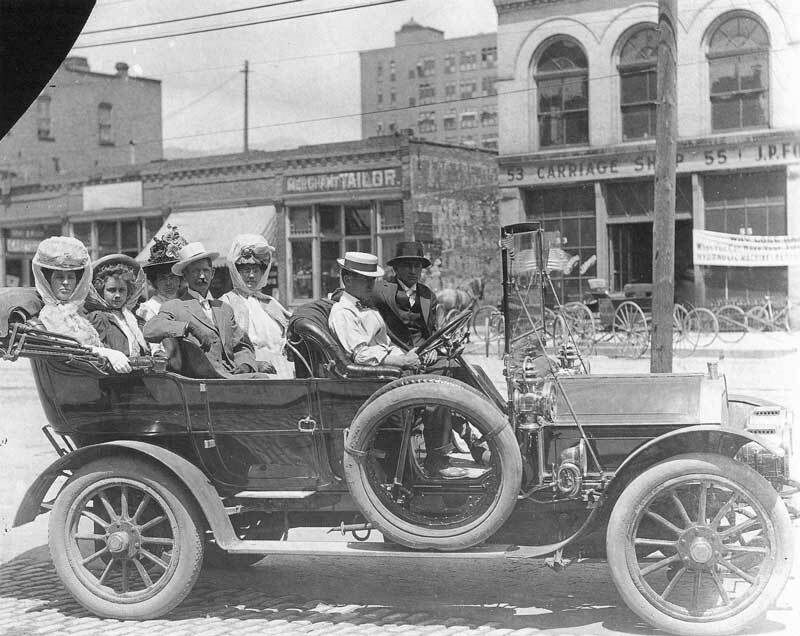 “Charlie” had learned about medicinal herbs from his father, and he would eventually become one of the most prominent Salt Lake City businessmen, operating the Johnson-Pratt Drug Company and the Sainsbury and Johnson Photo Gallery. 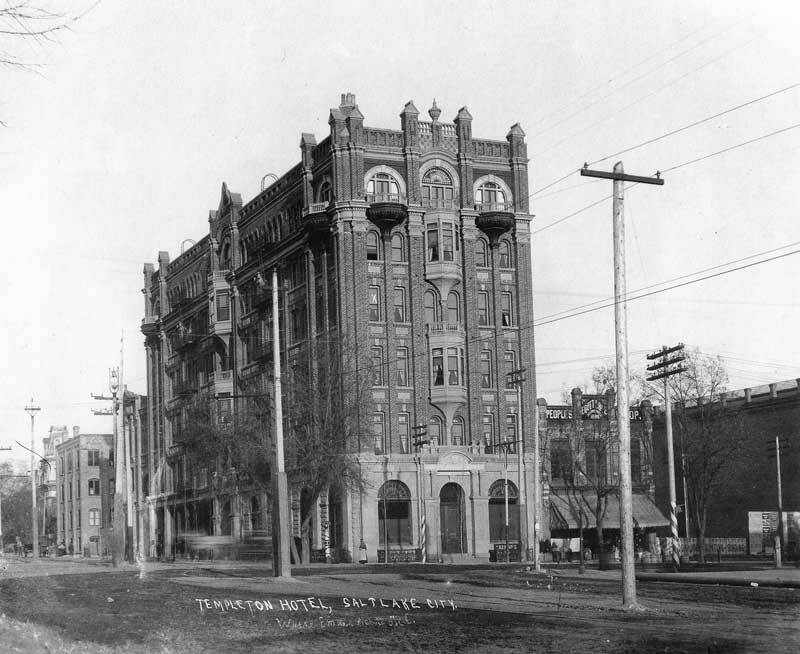 In addition to his drug store and photo studio, Johnson manufactured, packaged, and promoted Valley Tan Remedies, a home-manufactured line of family patent medicines. At first Johnson concentrated on the drug manufacturing business, letting his two partners run the retail drug store and photo gallery. But Sainsbury, who had worked for years as a darkroom assistant in C. R. Savage’s gallery, was getting on in years and Johnson found himself fascinated by the art of photography. Before long Johnson was working in the gallery, learning the intricate details of dry-plate photography from his partner. 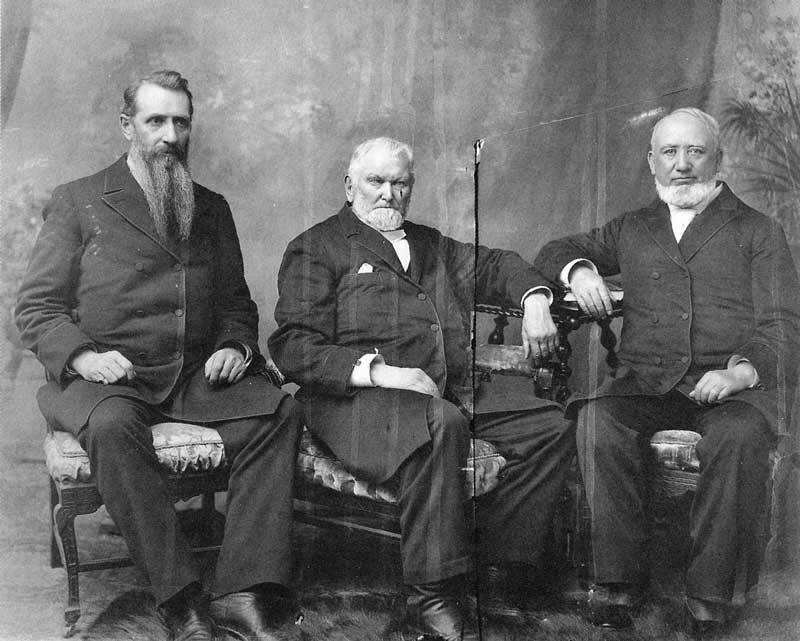 During the next quarter century, Johnson was one of the most prolific and enterprising photographers on the Mormon scene. He photographed thousands of people in his modern, state-of-the-art studio in Salt Lake City and traveled as well. 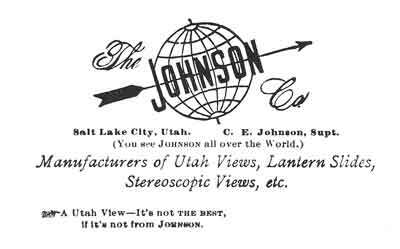 His logo included the motto, “Johnson Around the World” as he sought to market his landscapes, portraits of prominent people, and stereographic views to clients in far-flung places. Johnson was like James H. Crockwell in always looking for new ideas that would earn enough money to support both his own family and some of the [p.278] surviving members of his father’s family. His mother would require care and support until her death after the turn of the century. In Great Salt Lake City Eliza and the children rented a small house. Eliza was barely twenty years old and pregnant. Her daughter, Jessie Ellisa, was born a few weeks before Christmas in 1860. 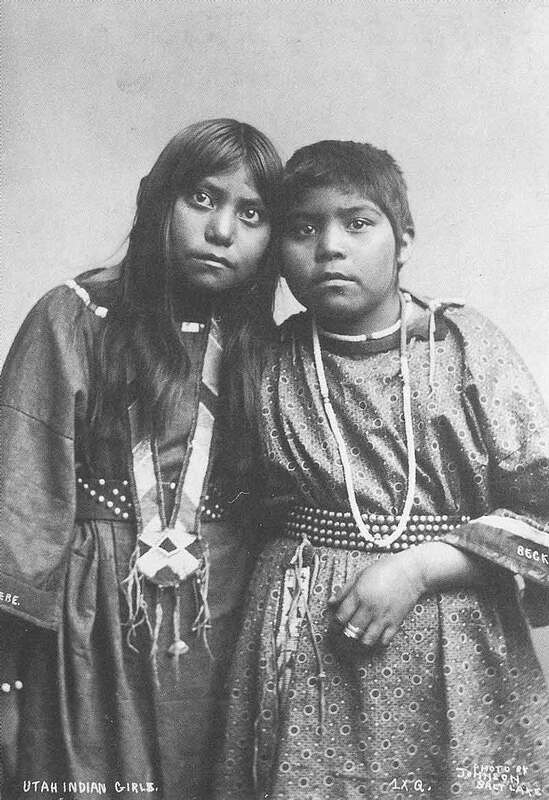 Joseph arrived in Utah with his other wives and children in September 1861. 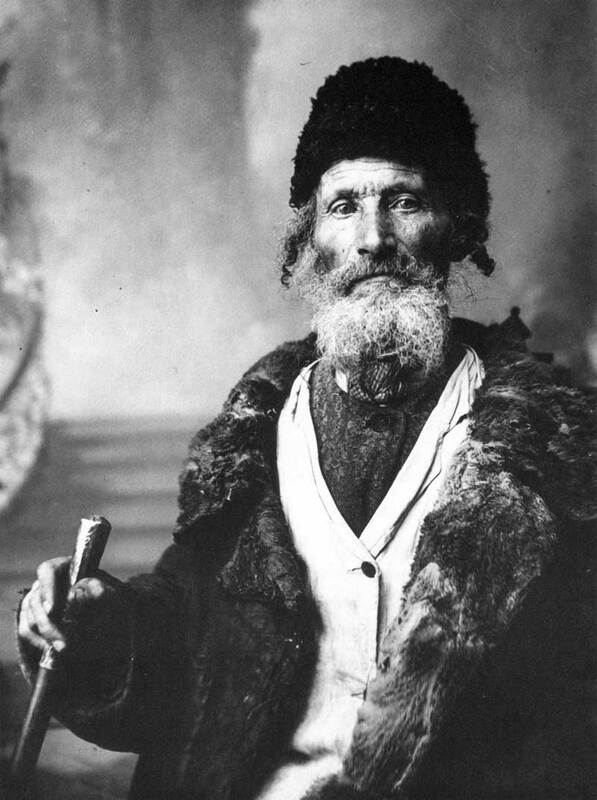 Joseph “did not wish for the city life” and within a few months purchased land seventy miles south near Payson and Santaquin in Utah Valley. Here he built houses for his wives and children and a store to sell his family remedies, seeds, nursery stock, and miscellaneous goods. He called the place Spring Lake Villa. Charlie also got a taste of archaeology and anthropology when Dr. Edward Palmer of the Smithsonian Institution arrived in St. George to investigate Indian burial mounds discovered in the desert. He was hired to help excavate the mounds, collect and prepare artifacts, and pack them for shipment to the Smithsonian Museum and to Yale and Harvard colleges. 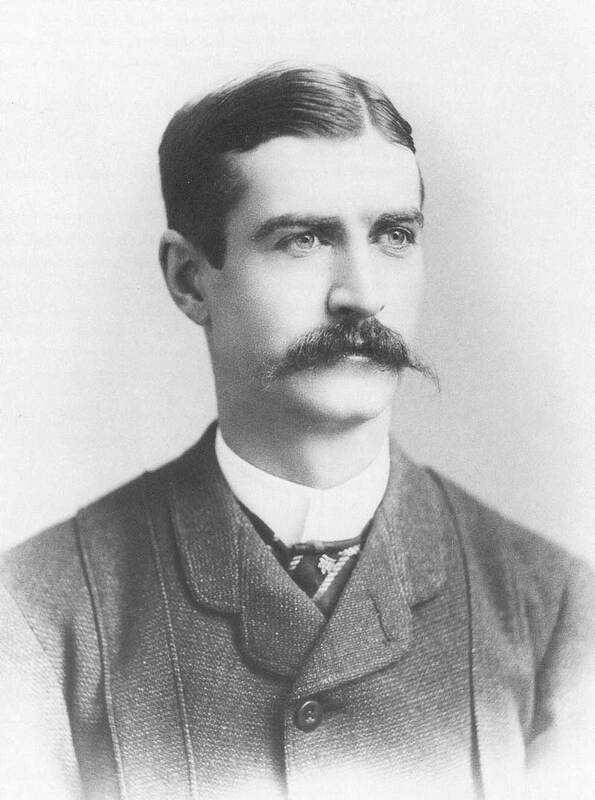 Charlie also helped collect specimens of birds, mammals, insects, and plants, which were also sent to eastern museums. During his early life Johnson learned local Indian languages and talked freely with tribes near St. George. 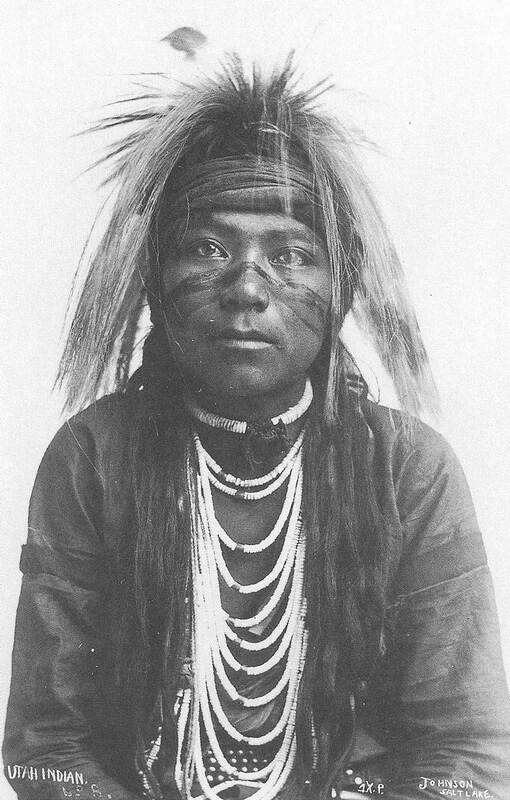 This association would serve him well later when he sought to photograph Utah’s native people in his Salt Lake City gallery. 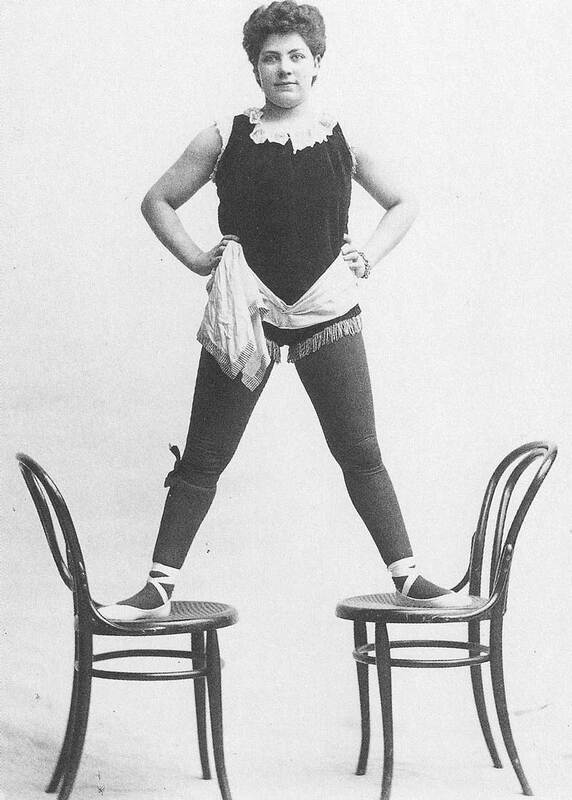 Charlie took an interest in “theatrical entertainments,” frequently playing humorous roles on stage. Eventually he worked as manager of the local theater. This experience too would serve him well when he became official photographer of the Salt Lake Theatre and correspondent for theatrical publications in the east. Our Gallery is modeled after that of the noted Falk of New York, giving the softest, truest and most life-like lights and shadows of any in the world. Rich toned, delicate, beautiful portraits. Our View Department will not be behind any in the West. We aim to furnish views of every point of interest in the Rocky Mountains. Our Portraits of ladies and gentlemen of the Dramatic fraternity embrace a large and choice collection to which we are always making additions. Professionals and people of note both local and national. Agents wanted. [p.288] We make views of residences, machinery, stock, mines, etc. Views to be used as legal evidence in courts, flashlight pictures of evening parties, interior views of parlors, dining rooms, etc. Copying, enlarging, locket pictures, transparencies and in fact everything connected with a COMPLETE PHOTOGRAPHIC ESTABLISHMENT. Portraits of children a specialty. 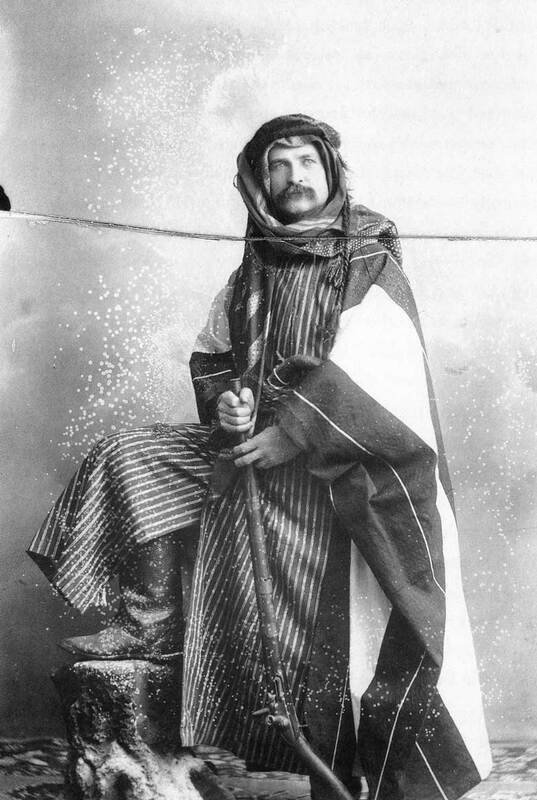 Because of his theatrical background, Johnson quickly gravitated to the Salt Lake Theatre and was soon the undesignated “official photographer.” Hundreds of actors and actresses made their way to his studio to have their portraits taken, many of them in the costumes of their current productions.16 Johnson became proficient at what could be called female glamour poses and occasionally did artistic nudes, which must have raised eyebrows in conservative Salt Lake City. 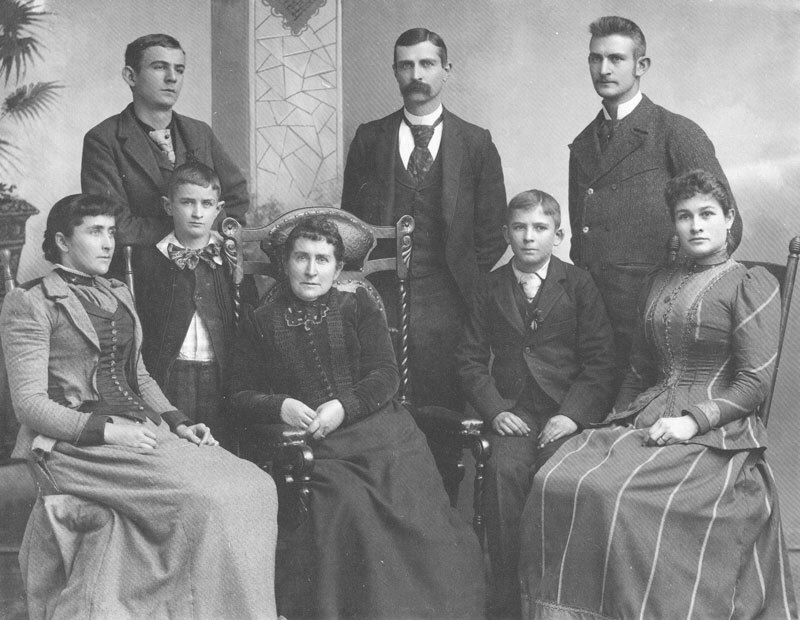 [p.289] After Sainsbury retired from the photo gallery, Johnson apparently left the Valley Tan laboratory in the hands of his younger brothers and half-brothers from his father’s other wives.21 Johnson then concentrated his efforts on photography and attempted to make his studio the largest in the intermountain area. 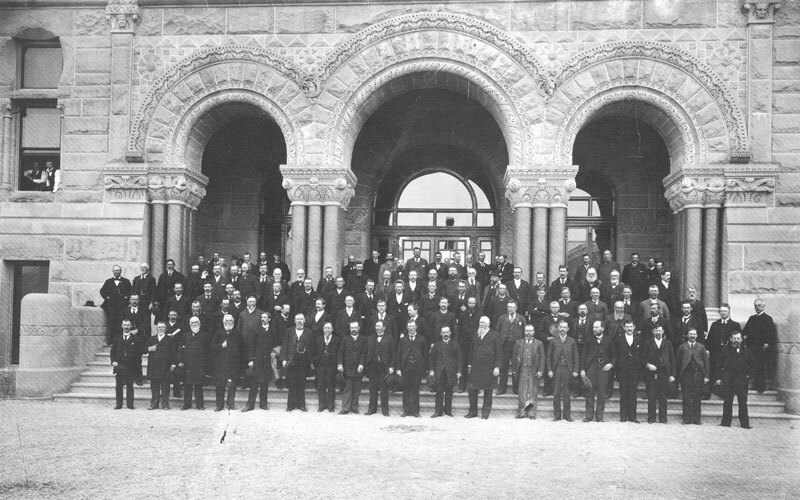 Just before Sainsbury retired, the two partners worked together to photograph the laying of the capstone of the Salt Lake City Temple. 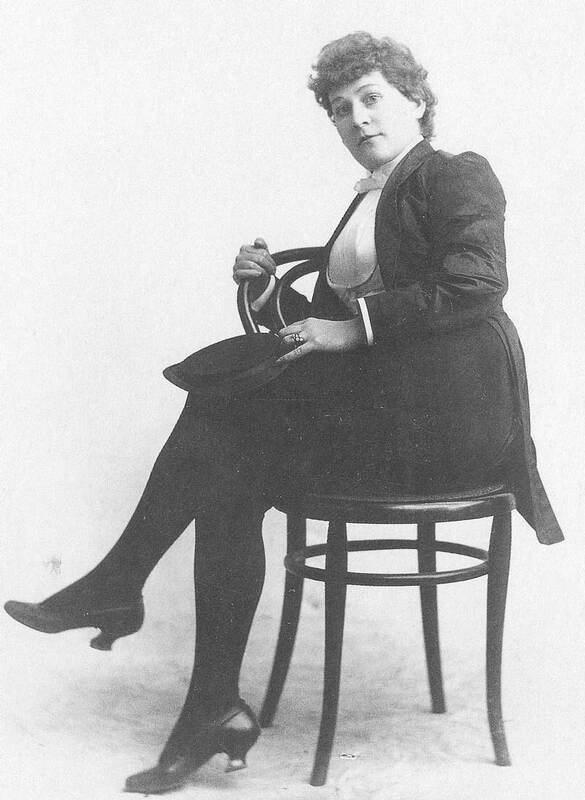 In 1897 because of his work at the Salt Lake Theatre, Johnson met Madame Lydia Mary Olive Von Finkelstein Mamreov Mountford. 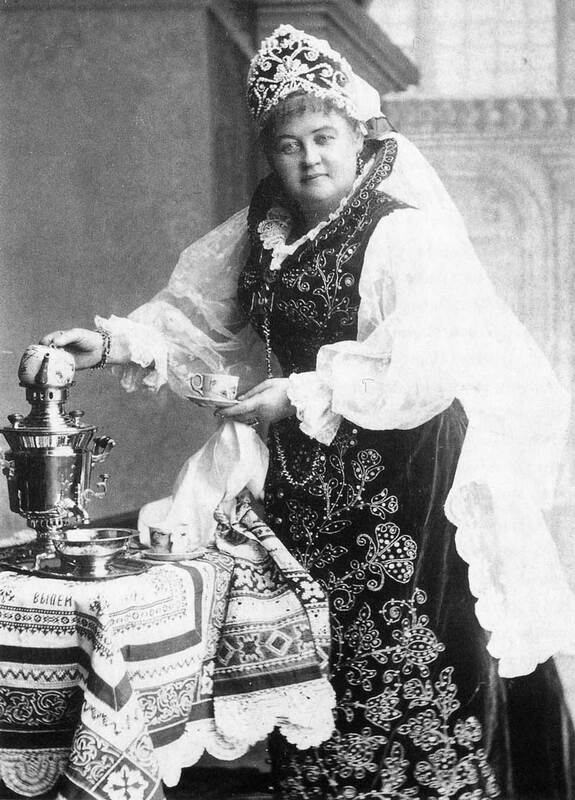 The portly “Rich Lady of Palestine” had arrived in Utah in February 1897 to deliver a lecture on Christianity and the Holy Land in one of Salt Lake City’s Christian churches. Her history was as exotic as her name—aristocratic roots in Russia and Germany, childhood in Jerusalem, marriage to a British government official. Madame [p.292] Mountford had traveled the world, delivering a series of “illustrated, living lectures” in which native Palestinians in costumes acted out biblical parables while the Madame “gave dramatic and vocal impersonations” on the life of Christ. Speaking in a deep, resonant voice, she brought “The Book of Books” to life for her spellbound audiences and romanticized her mysterious homeland, where Jesus was born. Johnson & Sainsbury’s views of the laying of the capstone and dedication of the temple a year later were especially successful. They brought brisk sales for years thereafter. 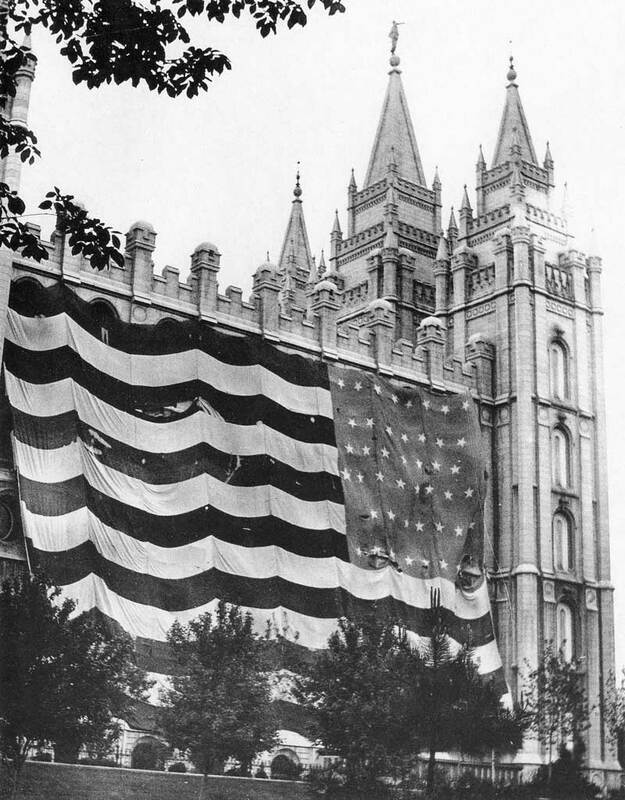 During the fiftieth anniversary celebration of the Mormon arrival in the Great Basin, Johnson was equally busy, photographing the parade and nearly every float in it and also the unveiling of the Brigham Young monument, which had been moved from Temple Square to the intersection of Main and South Temple streets. He also marked a selection of stereoscopic views of Utah and sold them with viewers in his photo shop and souvenir store. Some of them made complete stories when viewed in sequence. Others were attractive women and actresses posed in scant clothing in Johnson’s studio. Johnson liked to use large format cameras. Because photographers of that time worked primarily with albumen or bromide “printing-out papers,” large negatives were required for large pictures. Negatives were contact-printed in large, wooden frames, the exposures made either in the sunlight or by bright, kerosene lamps called gaslights. Then the prints were gold-toned, fixed, washed, and mounted for display. 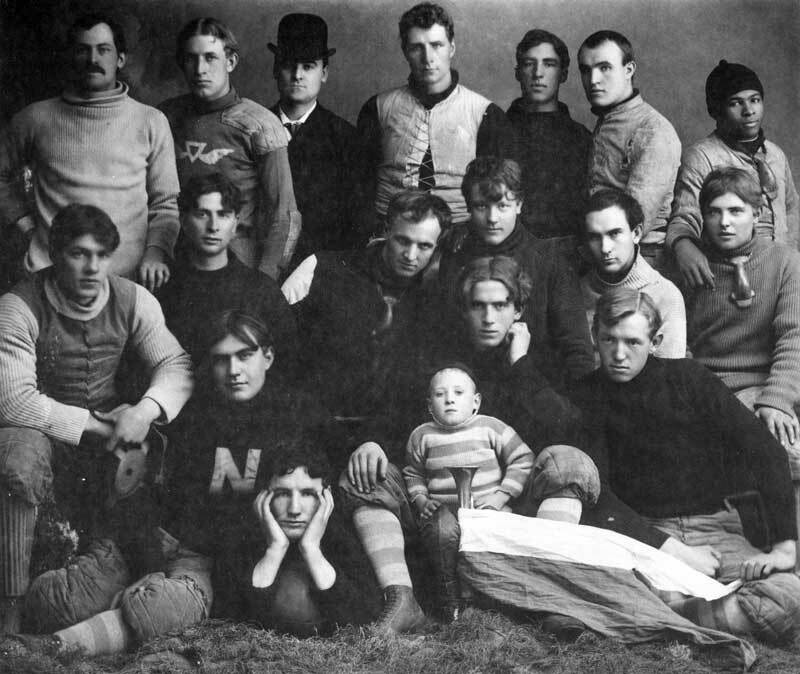 Johnson’s modern, north-light studio with huge cameras capable of making negatives up to 18-by-24 inches was one of the best equipped in the state. It was to this well-equipped studio that Madame Mountford came to have her photograph taken by Johnson. 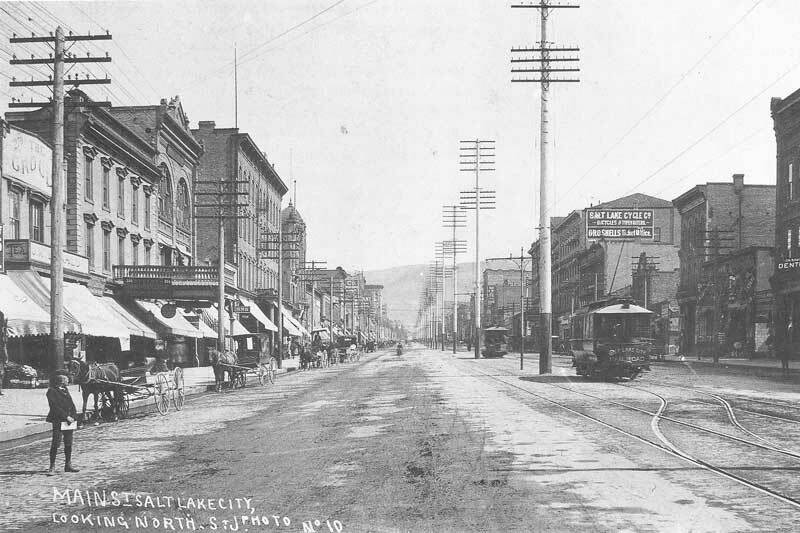 Thus began a close friendship between the forty-year-old photographer and the “Rich Lady of Palestine.” Mountford re-[p.301]turned to Salt Lake City in 1903. She seems to have come to garner support for an exhibit on Jerusalem she was preparing for the 1904 St. Louis World’s Fair. 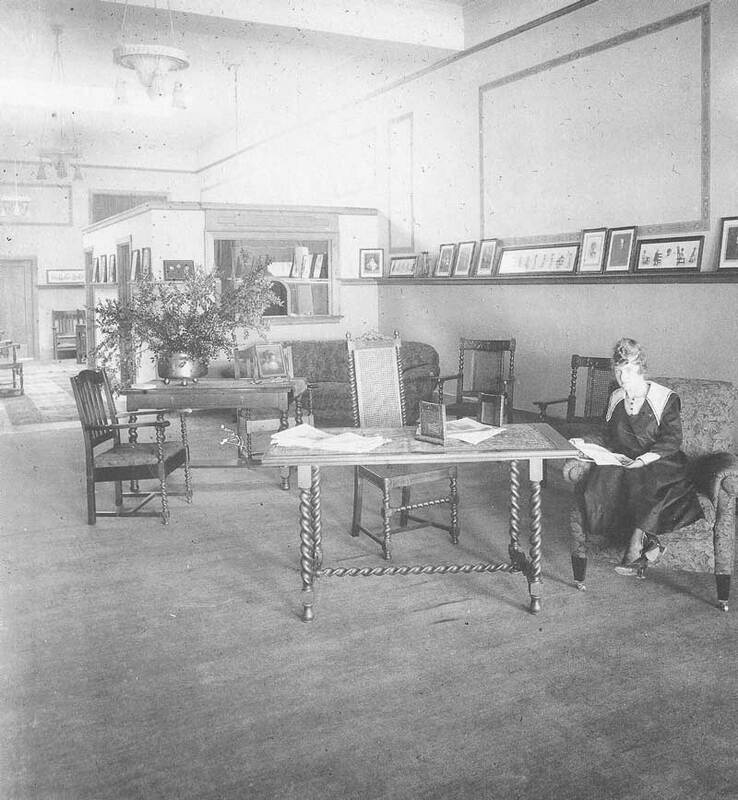 Before she left Utah, she had hired Johnson to take and produce the pictures for the exhibit. Johnson may have spent as much as a year in Palestine with Madame Mountford. “While there I made over 2,000 pictures,” Johnson wrote. His [p.305] photographs show Palestine and Jerusalem as still part of the Ottoman or Turkish Empire (1517-18). 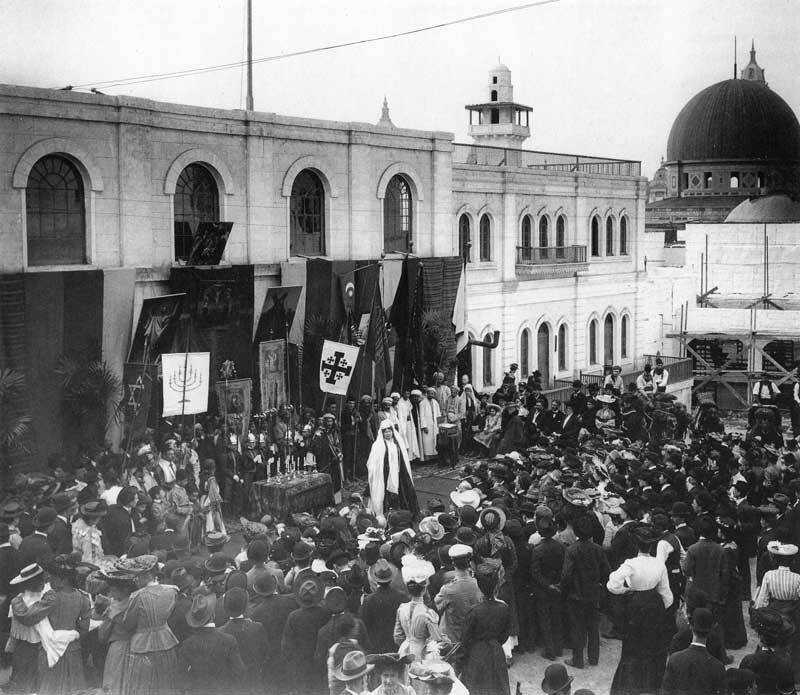 The Jewish or Zionist Movement, which would later lead to the state of Israel, was just beginning to take root. In the tradition of documentary photographers of his day such as Eugene Atget and Lewis Hine, Johnson captured his subjects in every-day pursuits. 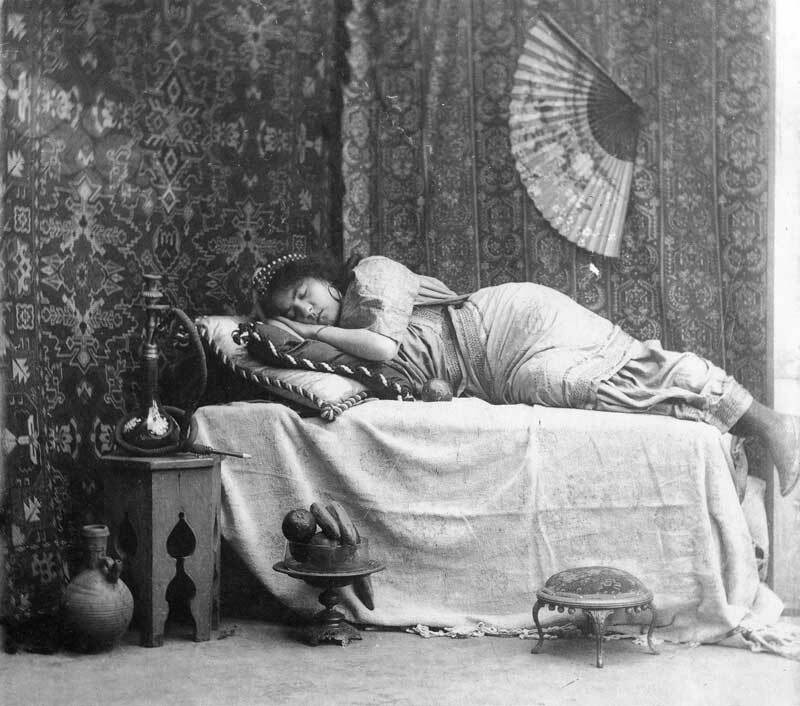 The chief weakness in his visual essay is the central figure of Madame Mountford in scene after scene. But one can hardly blame Johnson for pursuing the Mountford theme. She was paying the bills, and perhaps Johnson was at times shooting her script. 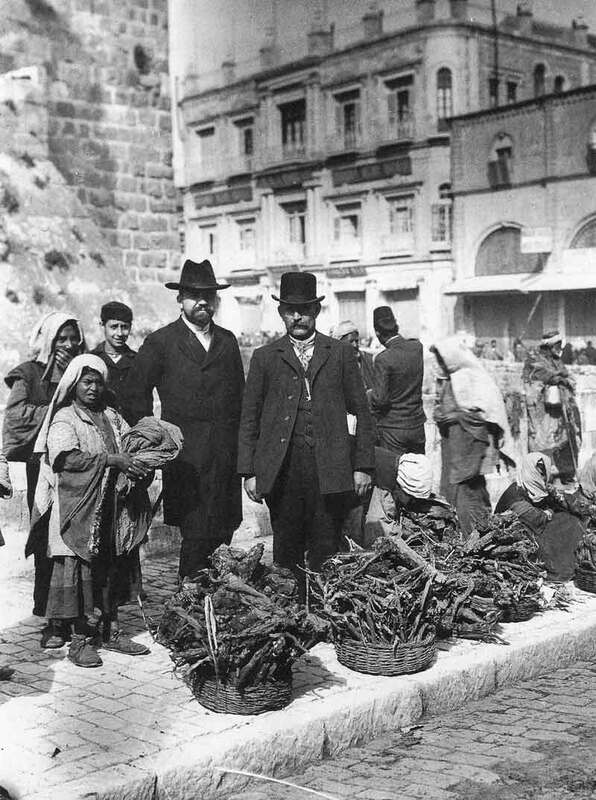 The strongest pictures are those documenting the street life of Jerusalem in 1903—shop keepers, beggars, aristocrats, priests, camel drivers, Bedouins, and other people still living much as they did at the time of Jesus. 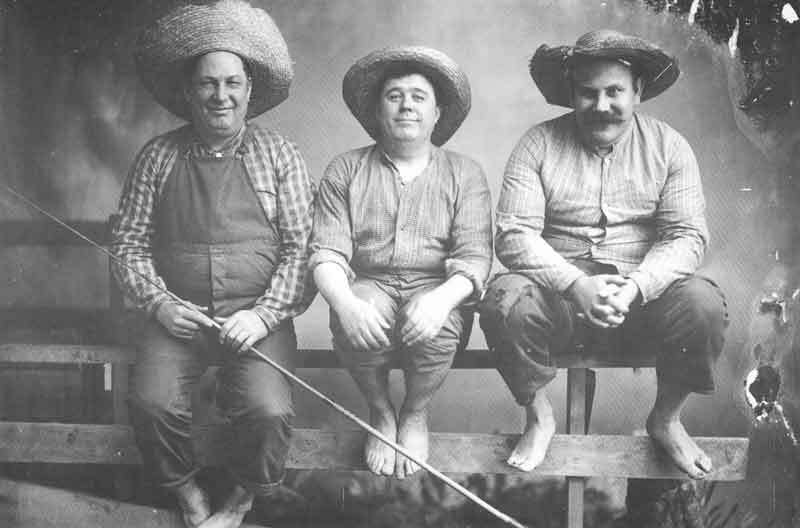 Many of the pictures are spontaneous and candid, indicating the photographer worked in a variety of formats including roll-film Kodaks and 6 1/2-by-8 1/2-inch field cameras, which were portable enough and fast enough to shoot hand-held without a tripod. 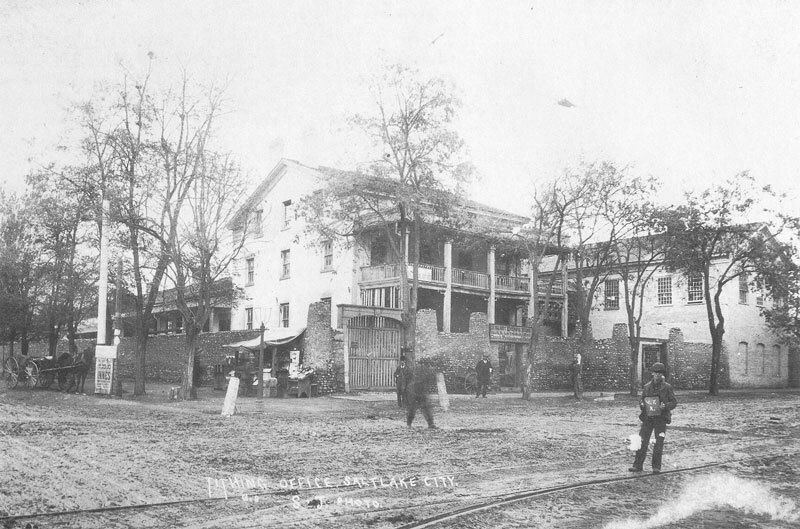 The best of these pictures go beyond mechanical documentation, indicating that Johnson had immersed himself in the life of the streets. He also made portraits in a makeshift studio of, among others, robed Orthodox priests, Bedouin women in their black dresses, and an oriental Jew from Bukara, a region between Russia and Persia, who had immigrated to Palestine. No details were omitted from his stay in Jerusalem. Unfortunately, he did not keep a diary; the negatives remain the only documentation for the trip, but a surprising number survived, except for those from his ultra-large format cameras. The pictures were taken with a variety of instruments, including one of his ultra-large format cameras. None of the negatives he made in formats larger than 6 1/2 by 8 1/2 inches survived, probably because of their size. Such glass plates were extremely fragile and required careful storage. 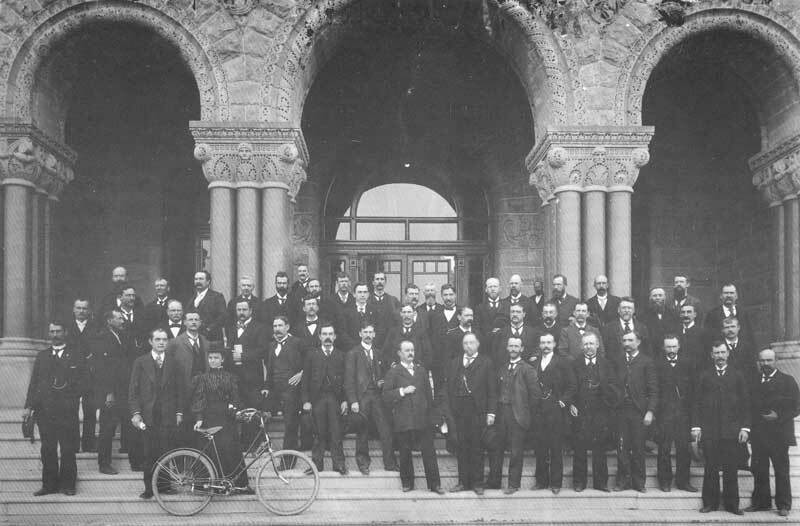 That he made such large format negatives is evident in a surviving photograph, which shows Johnson beneath the dark cloth of a large camera taking a picture of a group of men standing on a bridge. He must have had a 5-by-7-inch reducing back on his 6 1/2-by8 1/2-inch camera because the bulk of the surviving photographs in [p.308] the collection are that size. He also shot with a 4-by-4 inch stereo camera with two rapid rectilinear lenses, but apparently one lens was kept covered so the camera could also be used for single-frame shooting. 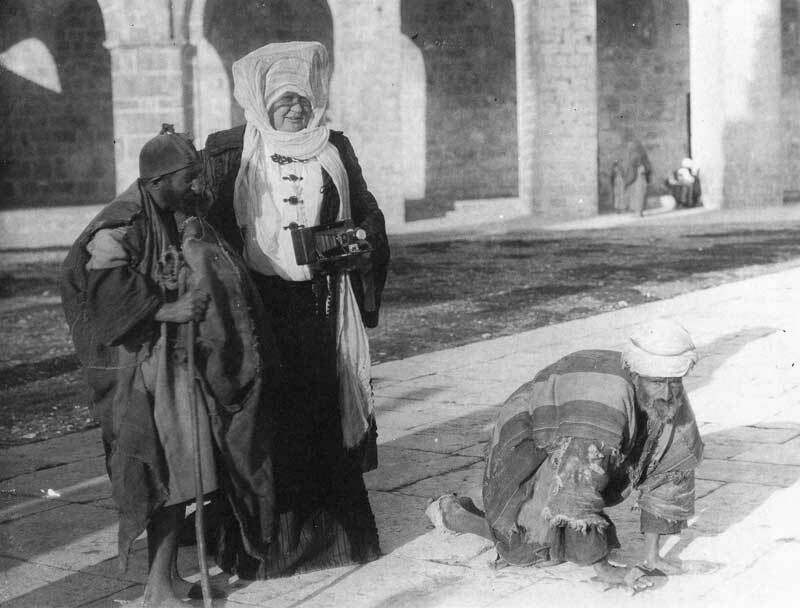 A picture survives of Madame Mountford holding his camera and standing by a beggar and cripple on Moslem temple square. For the most part Johnson used French-manufactured dry plates. His suppliers for plates in Jerusalem probably received their shipments from European sources. The Kodak stereo views were taken on flexible, nitrate film. Those surviving are now the poorest quality because of the inherent softness of the lenses and more rapid deterioration of nitrate images. Madame Mountford departed in a huff. Johnson remained in St. Louis for a while, trying in vain to market his pictures. News soon came from Salt Lake City that his business there was in trouble. 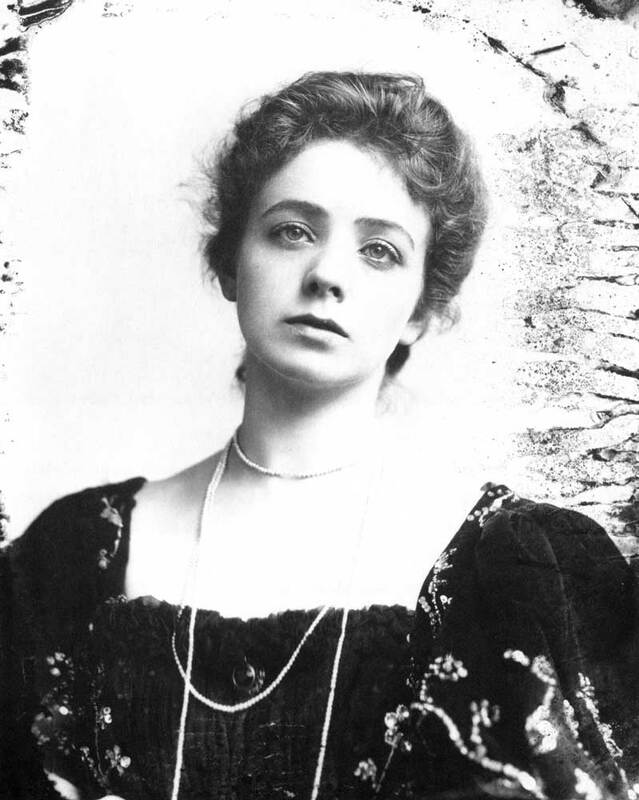 He had left the business with one of the brothers who had hired Johnson’s sister-in-law, Minnie B. Ridley, to oversee both the store and the studio. By the time Johnson returned, Ridley was beginning to get the business back under control. She remained with Johnson for nearly ten years until her death. 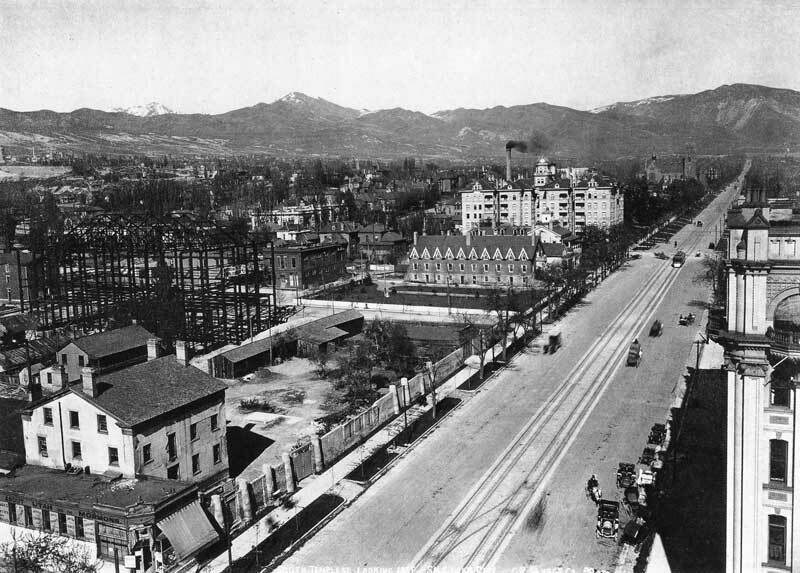 They continued for a time at the Main street location but had to move farther downtown when the Hotel Utah was built on the spot. Mountford continued her lectures until about 1907, after which she presented her costumes to a museum in Washington, where they were displayed for many years. She corresponded with Johnson until her death. In her last letter written during World War I, she expressed satisfaction that English troops had taken Gaza from Turkey and said she was praying they would occupy all of Palestine. “For a long time,” she wrote, “I have not cared to ever go again to Jerusalem, but now that the English will not, I know, try to make a mongrel, godless city of it, as all others would have done, I would like to see it again.”30 But she never did. 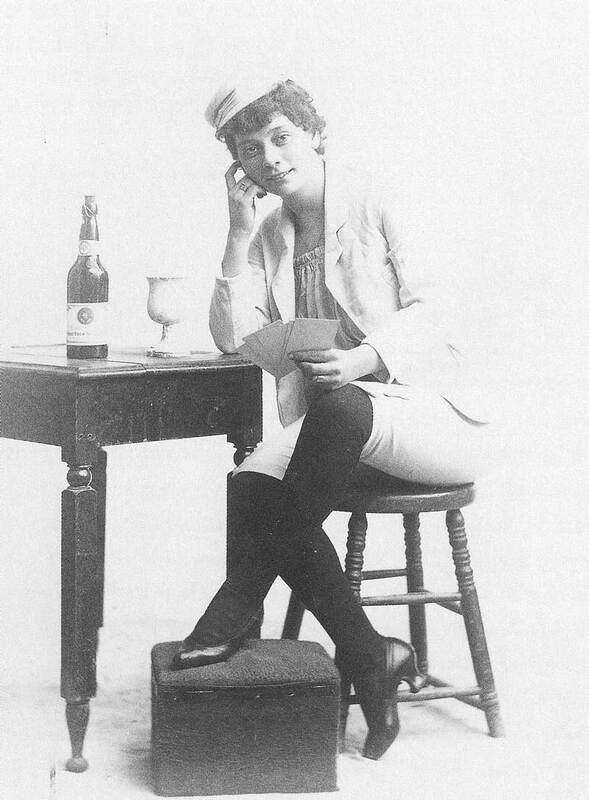 She died a short time later on 22 March 1917 in Lakeland, Florida, at the age of sixty-nine. 3. Rufus David Johnson, J. E. J.—Trail to Sundown (Salt Lake City: Joseph Ellis Johnson Family Committee, 1961), 226. 5. Eugene B. Fairbanks, A Sculptor’s Testimony in Bronze and Stone, The Sacred Sculpture of Avard T. Fairbanks (Salt Lake City: Publishers Press, 1972), 44. 8. Vicky Burgess-Olson, Sister Saints (Provo, UT: Brigham Young University Press, 1978), 63-86. 9. See James H. Crockwell, Pictures and Biographies of Brigham Young and His Wives, 2d ed. 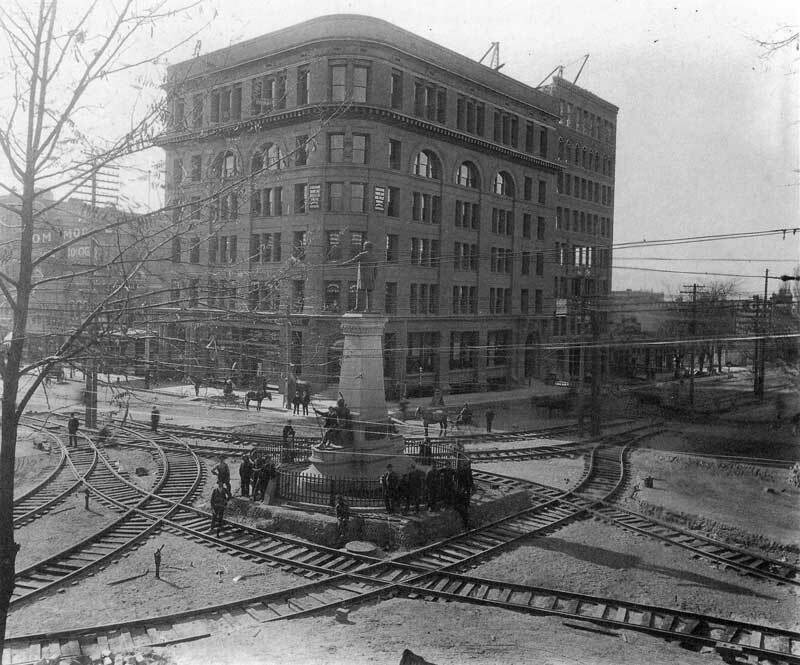 (Salt Lake City: F. W. Gardiner Co., 1896), 26. The only “Ruth” listed among Brigham Young’s children was the eighth of ten children born to Emmeline Free, who married Brigham Young in 1845 in Nauvoo. 10. The account of the courtship comes from Johnson’s sister-in-law, Maude Johnson, wife of Rufus David Johnson, in a 1975 interview, at the age of ninety-five. 11. Burgess-Olson, 63-86. Later on a trip to Hawaii, Susa met St. George farmer Jacob Gates who was working on the Mormon plantation at Laie. 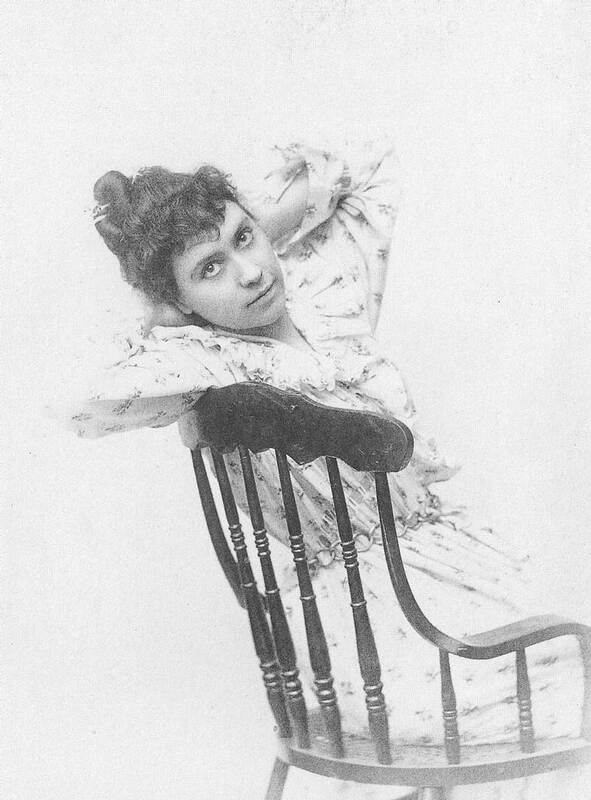 Susa Young Gates went on to found the Young Women’s Journal, to edit the Relief Society Magazine, and to champion women’s causes. She also served on the board of trustees of Brigham Young University. 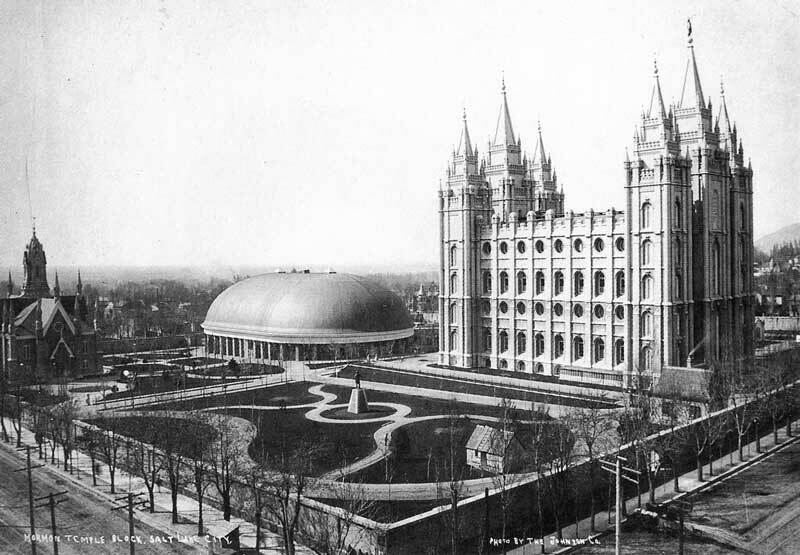 Because of her influence a member of the Quorum of the Twelve once referred to her as “the 13th apostle.” She died in 1933. 12. Johnson, Trail to Sundown, 501. 13. 1975 interview with Maude Johnson. I was unable to locate information about Ruth in any genealogical sources, nor was I able to find her death notice in any of the Salt Lake City newspaper obituary indexes. 15. Cabinet photo albumen print in my possession, originally found in a second-hand store. 16. Among those who came were Maude Adams, Ethelyn Friends, Franc Madigan, Ada Dwyer, Annie Dare, W. J. Elleford, Millie Marsden, Lillian Burke, Juliet Corden, Viola Pratt, [p.315] Irene Hernandez, J. H. Stoddart, Cyrene, Leona Ambrose, Frank Matterl, Fanny Da Costa, Homie Weldon, Amelia Glover, Gertie Homan, Jessie Bartlett Davis, Odette Tyler, Gertie Thornton, Emma Abbott, and Paul Gilmore. I made a listing of the names imprinted on a number of Johnson cabinet photos found in a large box of miscellaneous photographs at Pioneer Village, Lagoon Corporation, in the summer of 1975, and also names inscribed in India ink on the glass negatives in the Johnson Collection in the photo archives at the Harold B. Lee Library, Brigham Young University. 17. One of Johnson’s relatives wrote an article describing the Valley Tan philosophy for a trade magazine: “This enterprising manufactory is essentially a home institution in every sense of the word. It deals in and manufactures homemade medicines for the family’s use, taking advantage of the many valuable remedies growing at our very doors, and combining them all with the good remedies of the known world, to produce an effective and useful whole. The composition of the various remedies was chiefly the results of the life-long labors of Mr. Joseph E. Johnson, and its success has been a phenomenal one of the history of enterprises of this class.” Author unknown, “The Valley Tan Laboratory,” 1, typewritten manuscript, Special Collections, Utah State. 18. Printed label, Johnson’s personal papers, Special Collections, Utah State University. 22. Program of the performance, Special Collections, Lee Library, Brigham Young University. Dated Saturday, 17 April. 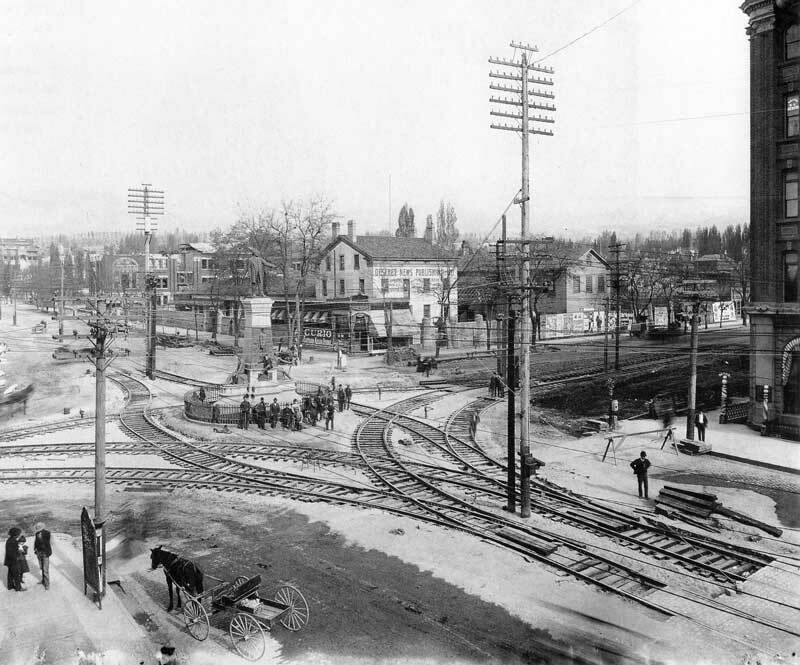 No year is specified but believed to have occurred in 1897. 23. “The Jerusalem of Today,” Relief Society Magazine, Feb. 1921, 76. 25. Two of these Johnson albums can be found in Special Collections, Merrill Library, Utah State University. 28. This was the recollection of Maude Johnson. She still vividly remembered Johnson’s keen disappointment that his photographs were never exhibited. 29. The negatives left behind were in the care of his brother, Rufus David. Eventually they were stored in a basement in the younger brother’s home in Salt Lake City. That building [p.316] had to be vacated to make way for a parking lot for nearby St. Marks Hospital. 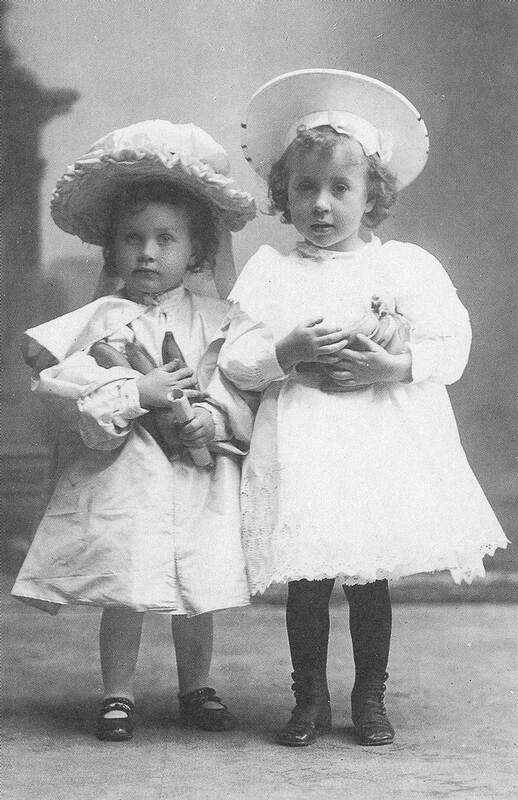 After that, the negatives were divided between two of Rufus’s children, Reed and Rosemary Evans. 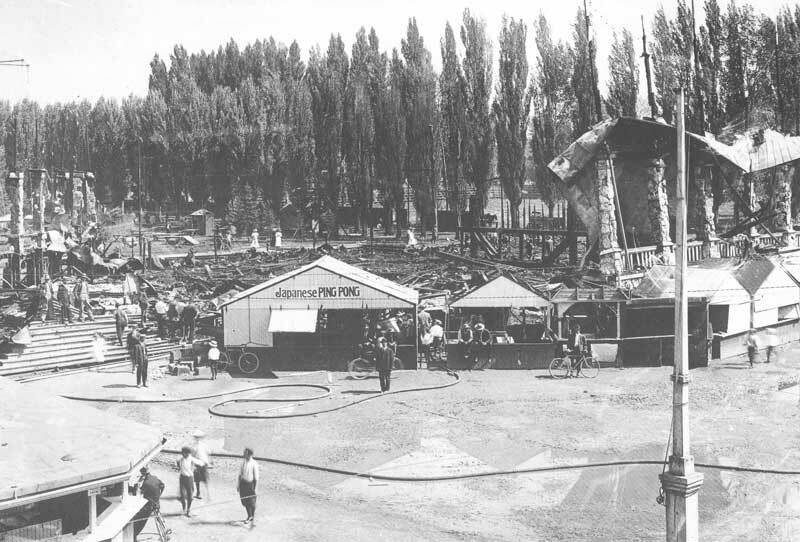 Some were stored in Rosemary’s shed, where most were destroyed by vandals or water damaged. The others, many of which were in the large, 18-by-24-inch format, were stored in Reed’s garage in suburban Salt Lake City. Fortunately Reed seldom threw anything away. As a result a sizeable portion of Johnson’s work survives today. 30. Relief Society Magazine, 77. 31. Maude Johnson, unpublished manuscript in which she details the circumstances surrounding Johnson’s death, Special Collections, Utah State University. My quest for what remained of Johnson’s photographs began in 1976 during a search for pioneer photographs by the Boston Museum of Fine Arts. The curator, Jonathan Fairbanks, came to Utah and eventually to Brigham Young University to choose prints for a display on Western Americana. Fairbanks happened to mention that his mother, Mrs. Avard Fairbanks, wife of the well-known sculptor, had a relative who was a photographer. Some of his work was to be used in the museum’s display. Later I was assigned by The National Observer to photograph Avard Fairbanks and one of his statues. While in his studio, I met Mrs. Fairbanks and asked her about Johnson. She showed me a trunk full of her uncle’s prints and told me about those owned by her brother, David Fox, of California. Curators from the Harold B. Lee Library at BYU eventually ended up in Fox’s plumbing shop in Los Angeles. In the back room next to old toilets, faucets, and pipe wrenches, we found several cardboard boxes filled with glass negatives. The owner readily agreed to donate these negatives to Brigham Young University for preservation. 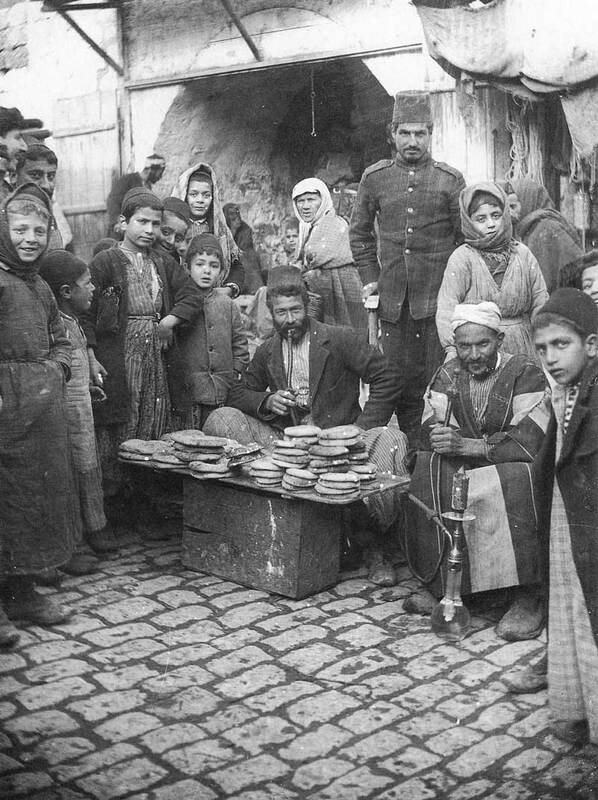 These negatives proved to be the near complete 1903 photo documentation of the Holy Land. Prints of the Holy Land photos were displayed at the Mormon Arts Festival at BYU in 1977, and members of the Johnson family attended. Reed Johnson, a nephew of the photographer, told me during a tour of the exhibit that he had “several hundred glass negatives” in his garage and asked if we wanted to add them to the Johnson collection in the archives at Brigham Young University. Shortly after that I drove to Salt Lake City in my small car to pick up the negatives. “Where’s your truck?” Mrs. Johnson asked me as we walked up her driveway. Inside the garage was every historian’s dream. Stacked in piles on makeshift wooden shelves which sagged to the breaking point were not hundreds but rather thousands of glass negatives. Eventually it did take a truck to take this dust-covered treasure to the library at the university. There were about 2,000 negatives in the collection, many of which were badly water-damaged or broken into numerous, shattered pieces of glass. The Johnson negatives ranged in size from 5 by 7 inches up to an incredible 18 by 24 inches, the largest glass negatives I had [p.317] ever seen. Conversations with other photo archivists convinced me they were among the largest preserved anywhere. 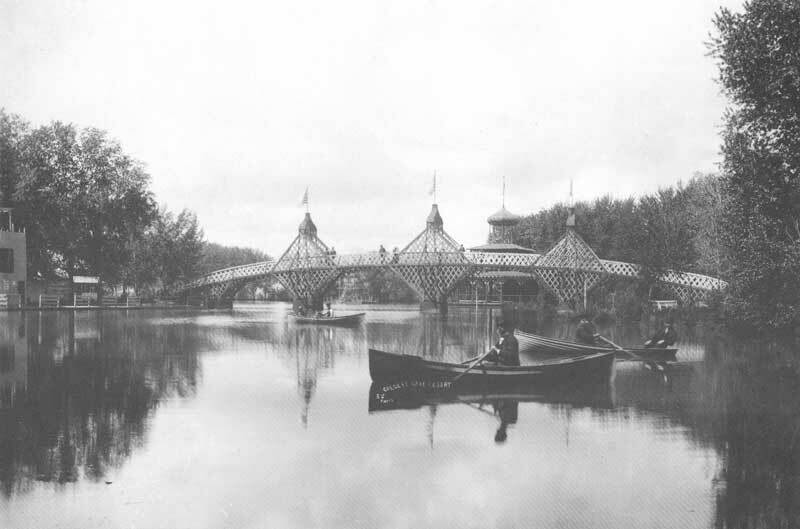 Modern photographic papers are incapable of producing the same quality Johnson achieved with the albumen and other printing out processes of a century ago.